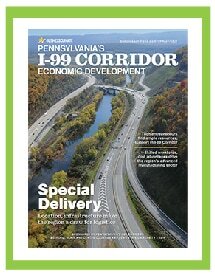 Pennsylvania's I-99 Innovation Corridor comprises Centre, Bedford and Blair counties. 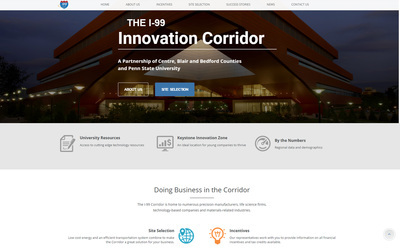 The Corridor offers a technology-driven economy that leverages a highly educated workforce. Key industry segments include advanced manufacturing, life sciences, information technology, logistics and food production. The region includes a wealth of public and private higher education institutions, anchored by the main campus of Penn State University in Centre County and the second-largest campus in Altoona, Blair County. The CBICC partners with the Altoona Blair County Development Corporation and the Bedford County Development Association in promoting the Corridor as a business location/investment destination. 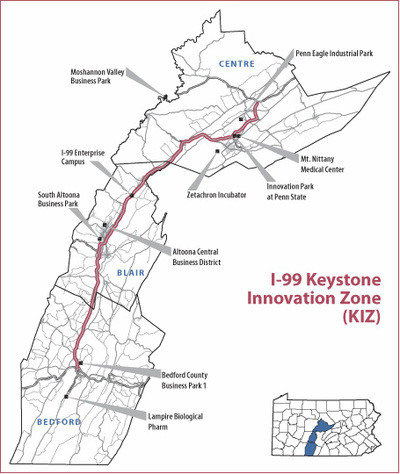 The CBICC also serves as coordinator of the I-99 Corridor Keystone Innovation Zone. Focus Central Pennsylvania is a regional coalition of seven central Pennsylvania counties made up of knowledgeable economic development and community leaders ready to assist with corporate expansion needs. Focus Central Pennsylvania provides a centralized location for current information on available properties, market data, labor data and much more. CBICC Vice President of Economic Development Jennifer Myers serves as chair of the Focus Central Pennsylvania Board of Directors. Learn more. The CBICC, through the Centre County Industrial Development Corporation, provides economic development assistance to new and existing businesses as a state PREP (Partnership for Regional Economic Performance) partner. PREP is a statewide network of partners designed to work in concert to deliver vital business assistance services across 10 regions of the Commonwealth. The CBICC is part of the 10-county SEDA-COG region, which comprises Lycoming, Clinton, Centre, Mifflin, Juniata, Synder, Northumberland, Mountour, Columbia and Mifflin counties.